Nature provides many alternatives to commercial products and pharmaceutical medications. Many herbs are verified by centuries of documented benefits. While some plants offer benefits that have been recently discovered. You may want to be sure you know about these five amazing herbs. Tea made from the flowers of the sweet violet (viola odorata) is an effective pain reliever for aching muscles and reduces fever. Sweet violet flowers can also be made into a syrup that effectively treats coughs and cold symptoms. This fragrant herb is a know expectorant and will also work as a laxative. 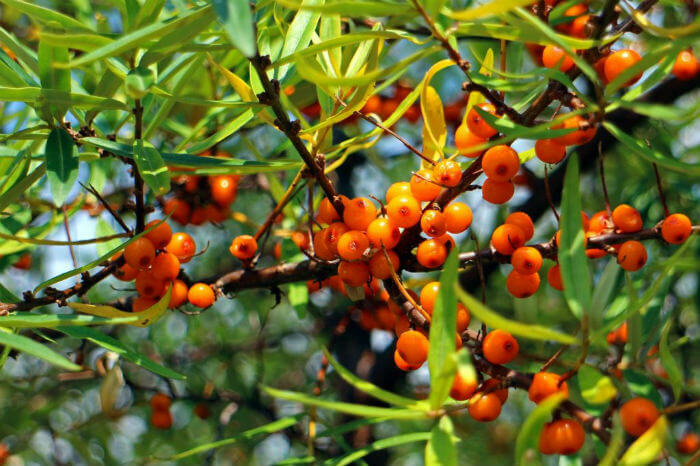 According to Sibu, the sea berry or sea buckthorn fruit is a natural powerhouse of antioxidants, flavonoids, carotenoids and healthy fats. It is also high in B vitamins. When used in inhalation therapy, juniper can alleviate congestion and ease the chest pain associated with bronchitis. As a tea, it is used for gastrointestinal disorders such as nausea and indigestion. Although this plant is native to California, it can also be found along the entire western coast, Australia Mexico and Chile. Holy Basil is an adaptogen, meaning it enhances the body’s ability to adapt to stress. Holy basil is also known to lower cholesterol, prevent heart disease, boost immunity and treat respiratory disorders. Those who take blood-thinning medications should avoid holy basil. While natural herbs benefit many disorders without as many side effects as prescription medications, they may not be right for everyone. If you have medical issues or take medications, you may want to speak with your healthcare provider or a qualified naturopathic practitioner before proceeding with an herbal supplement.